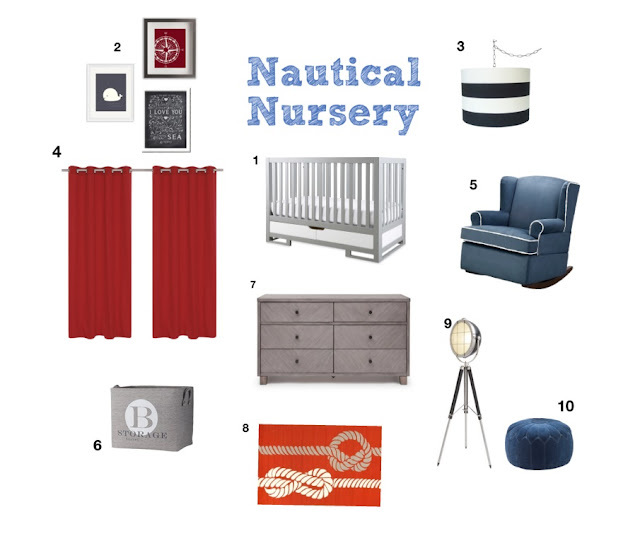 Something about designing a nursery just makes me fall in love with design all over again. We take so much more risks with color, and allow ourselves to keep the focus on being playful, and fun, which is always a recipe for good design. 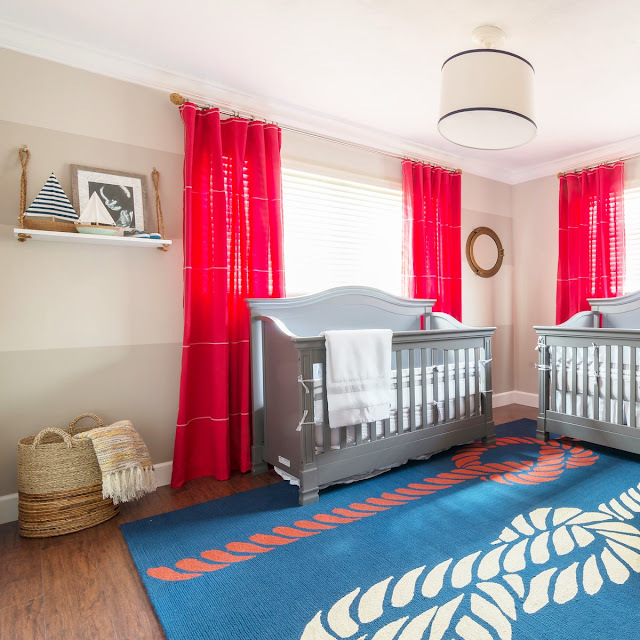 This is no easy feat for anyone to handle and kudos to Samantha for staying sane throughout the dust and overall renovation chaos, and delivering a healthy baby. 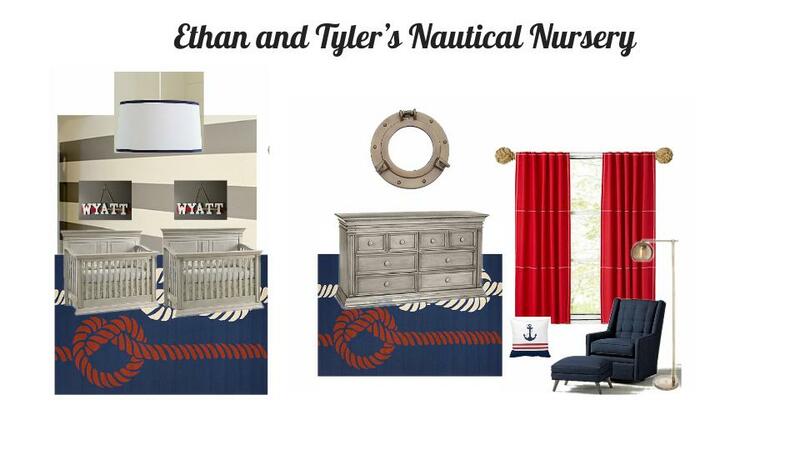 The goal: The boys are a year apart so the space needed to meet the needs of two. Samantha and hubby Risson wanted a nautical theme. 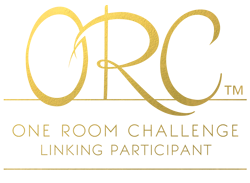 Theme rooms can be tricky as you need to find a balance between highlighting the theme without going overboard. Pun intended! 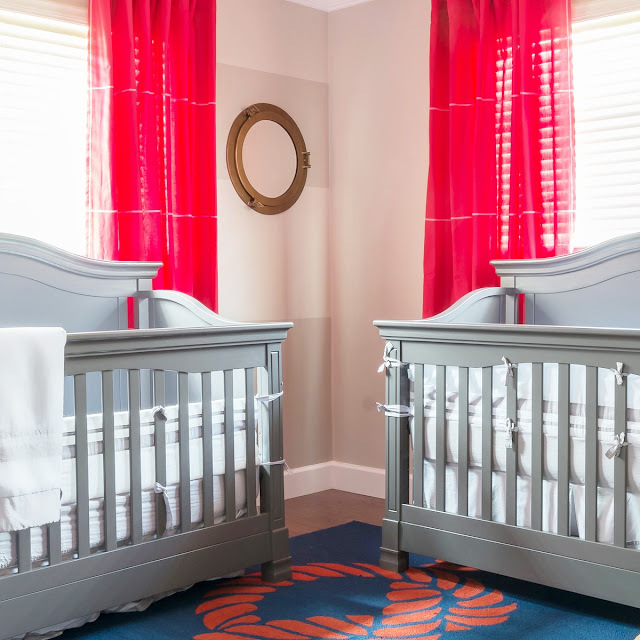 Our initial plan was to have the cribs side by side. But since there were two windows in the bedroom, it made sense to place a crib under each window for symmetry. 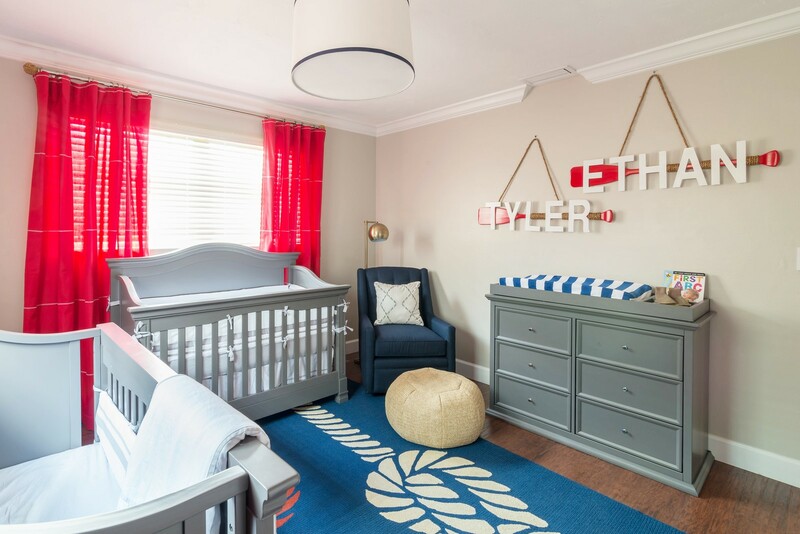 The cribs can also be transformed into toddler beds and having this layout will maximize that option and give the boys their own little zone. 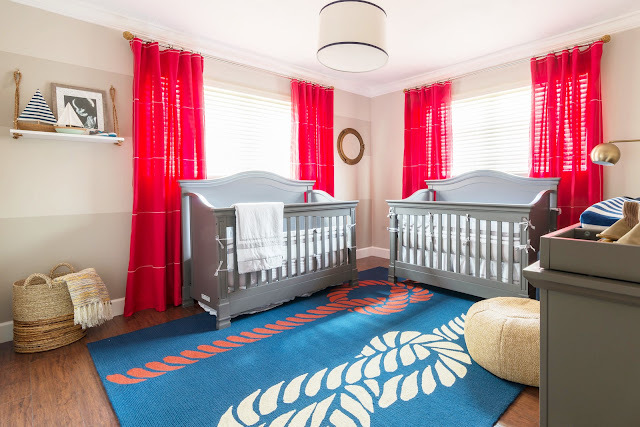 Once Samantha settled on the cribs, we moved ahead with the other design elements: Subtle striping detail on one wall, this knotted rug, a porthole mirror. These rope shelves played off the ropes in the rug and added some texture to what would have been just ordinary white shelves. It's the perfect spot for baby Ethan's signed sonogram and the cutest little sail boats ever, that Samantha hopes will encourage the boys to set sail on many adventures. 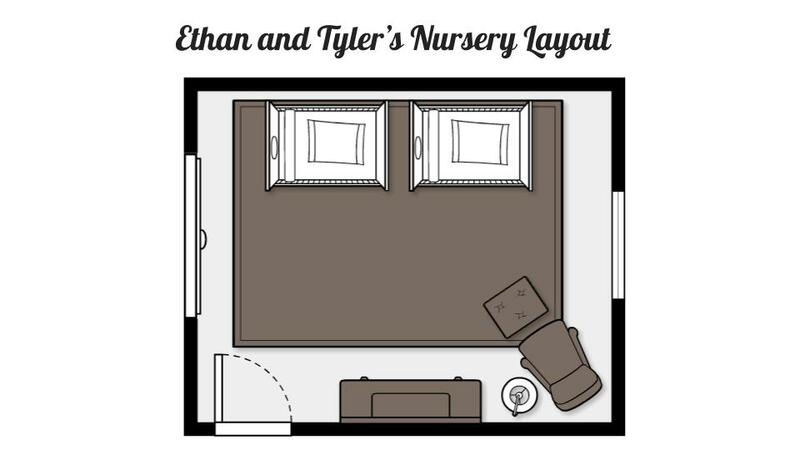 We nestled a very comfortable glider in the corner for Samantha or Risson to rock baby Tyler to sleep, or to read to Ethan. This dresser served double duty as a space for much needed storage (two little boys equals lots of clothing!) 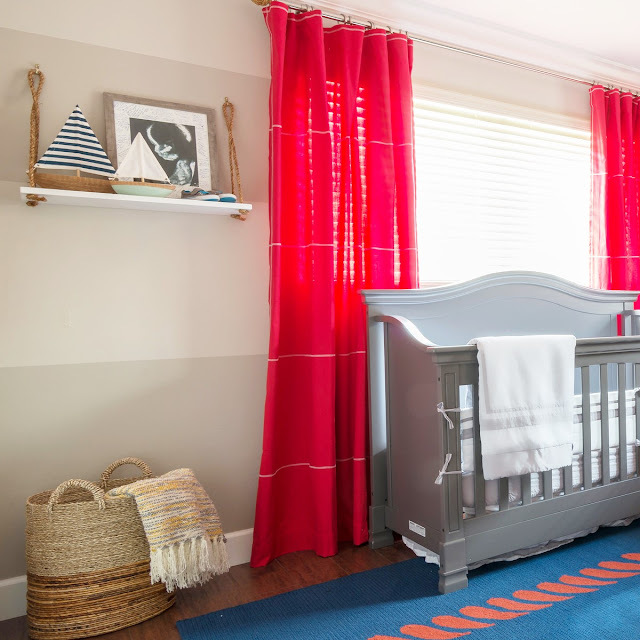 and as a changing table. 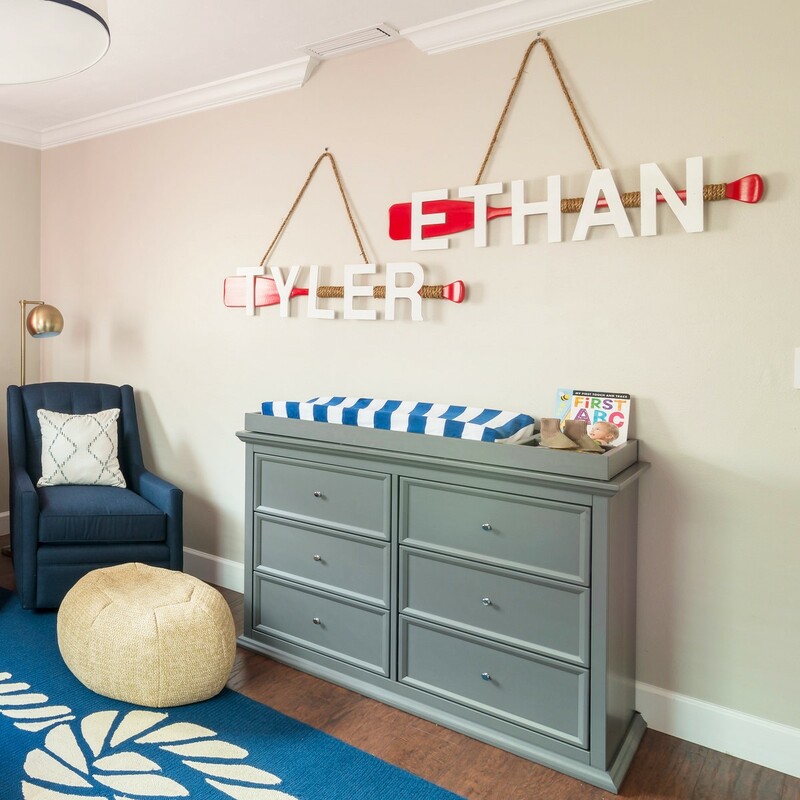 And quite possibly my favorite item, these custom oars with the boys names, helped declare this as their very own chill zone to create some special brotherly memories. Huge thanks again to Samantha and Risson for allowing us to transform this final space in their home to cap off our renovation project.